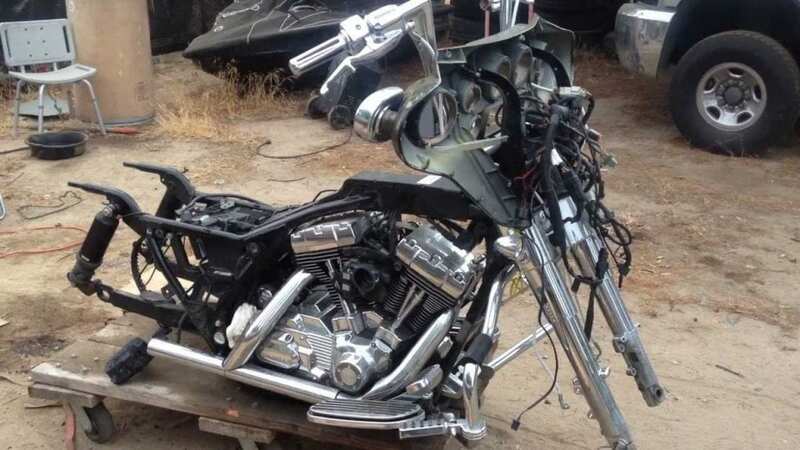 A 40-year-old Gig Harbor man was arrested last week after detectives discovered a chop shop with about 15 stolen cars, trailers and motorcycles on his property, according to a Pierce County Sheriff’s Department Facebook post. According to the post, the man was booked into Pierce County Jail on Aug. 7 for investigation of first-degree possession of stolen property, unlawful possession of a controlled substance with intent to deliver, of unlawful manufacture of a controlled substance and possession of a stolen vehicle. Deputies were alerted about the auto theft activity at the residence on Chapman Drive Northwest near Sehmel Park in June. According to the Sheriff’s Department’s post, deputies knew of several chopped cars that had been reportedly found near the home. Neighbors also reported hearing saws, grinders, welders and hammering at night and said they saw numerous types of cars, motorcycles and trailers coming from the property, the post said. Deputies believe Trumbull was trying to sell parts from the stolen cars online. Meth & large marijuana grow op also found at home. According to the Sheriff’s Department’s post, a detective discovered 12 cars had been stolen and/or recovered within one mile of the residence in the last year. Detectives reportedly surveyed the home throughout July and saw several cars being towed, including a Honda that was later found dumped and burned along a nearby road. With the help of the Department’s SWAT team, detectives served a search warrant of the home last week when the SWAT team took the suspect into custody, the post said. During the search of the chop shop , investigators found a large marijuana grow operation in the garage and basement, and methamphetamine inside the home, according to the post. Investigators also discovered electrical service panel tampering that included the installation of a second power feed. The Sheriff’s Department’s post said Peninsula Light Company has since terminated the electrical service. The suspect bailed out of Pierce County Jail on Aug. 9.